Sheer walls of granite, ancient giant Sequoias, roaring waterfalls, and flowing mountain rivers giving birth to babbling brooks — the beauty of Yosemite National Park is unparalleled. 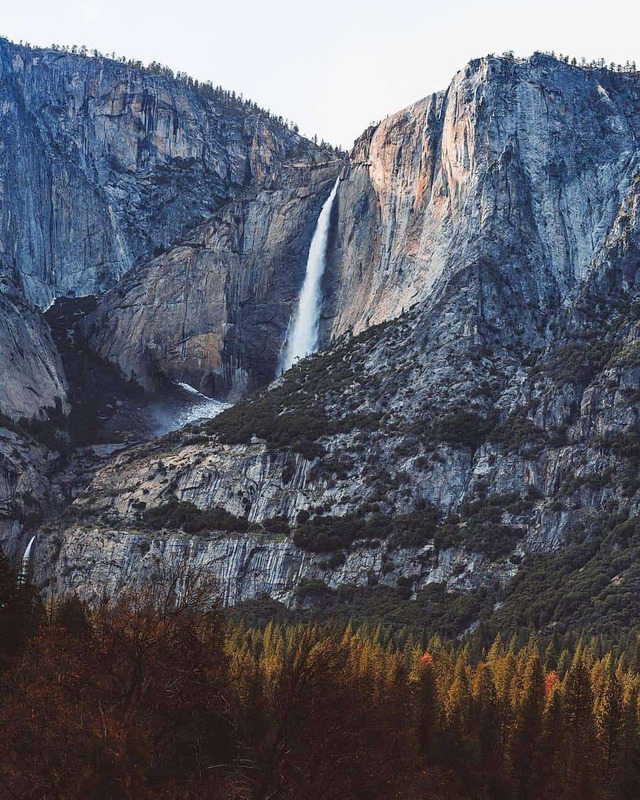 That is perhaps why Yosemite is one of the nation’s most visited national parks. Each year, over four million people come to Yosemite, allured by this gargantuan marvel of creation. Many people come just for the day, but with over 748,000 acres to explore — more than 1,000 square miles — you could spend months in the park and not experience everything that Yosemite has to offer. 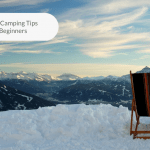 However, because, rather, unfortunately, most of us don’t have months to spend basking in nature, camping is one of the best ways to get the most out of your trip to Yosemite National Park. Not only does camping give you the opportunity to experience the sights and sounds of Yosemite at night, but it also puts you in proximity to some of the park’s points of interest. The National Park Service operates and maintains 13 campgrounds at Yosemite. During peak season, between Memorial Day and Labor Day, the campgrounds accommodate an average of 67,748 tent campers per month. 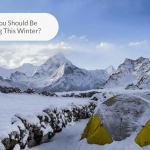 However, during the winter months, December through March, tent camping in Yosemite National Park plummets to about 5,241 tent campers per month. 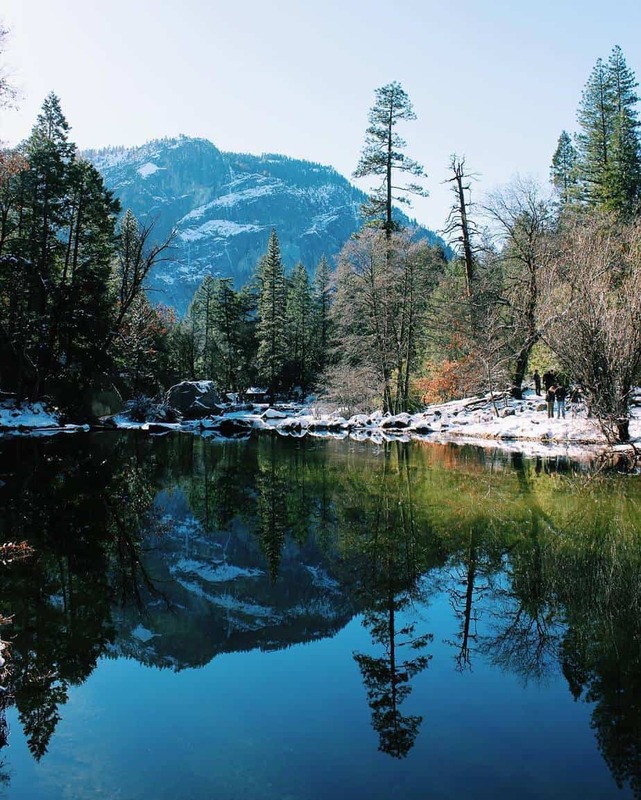 Apart from avoiding the crowds, there are many reasons to camp in Yosemite during the winter. During the winter, four of Yosemite’s 13 campgrounds remain open: Upper Pines, Camp 4, Hodgdon Meadow, and Wawona. 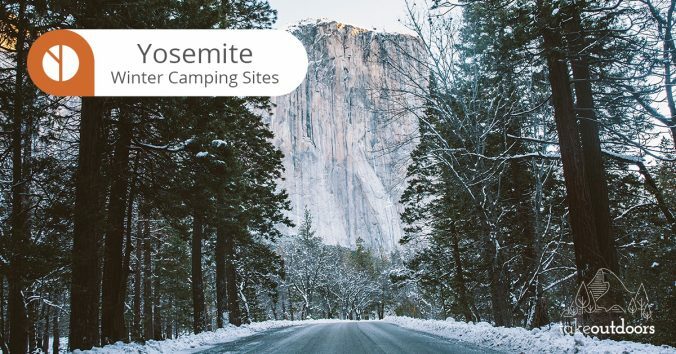 Find out which Yosemite winter camping site is best for you. If you are a rock climber and want to channel some positive climbing vibes, you’ll definitely want to camp at Camp 4. For several months, Camp 4 was home to the Stone Masters — the “founding fathers” of rock climbing as a sport. Climbing legends like John Bachar, John Long, Lynn Hill, and Jim Bridwell all made their home at Camp 4 while making first ascents and setting new routes along Yosemite’s iconic big walls. Because of Camp 4’s role in the development of rock climbing as a sport, the campground is listed on the National Register of Historic Places. Located in Yosemite Valley near Yosemite Valley Lodge, Camp 4 is a walk-in campground with 35 shared walk-in sites. RVs and trailers are not permitted at Camp 4; the campground only accommodates tent campers. Because Camp 4 is a walk-in campground, you cannot pull your car up to your campsite. Instead, the parking area is adjacent to the campground and only a short walk to the campsites. Each campsite contains a fire pit, picnic table, and four shared food lockers. Only six people (including children) are allowed at each campsite. A bathroom with drinking water and flushing toilets is within walking distance. Showers are available at Half Dome Village. Camp 4 operates on a first-come, first-served basis, and advanced reservations are not available. Yosemite Valley is one of the most-visited places in Yosemite National Park. Hence, there are several incredible hikes and points of interest near Camp 4. 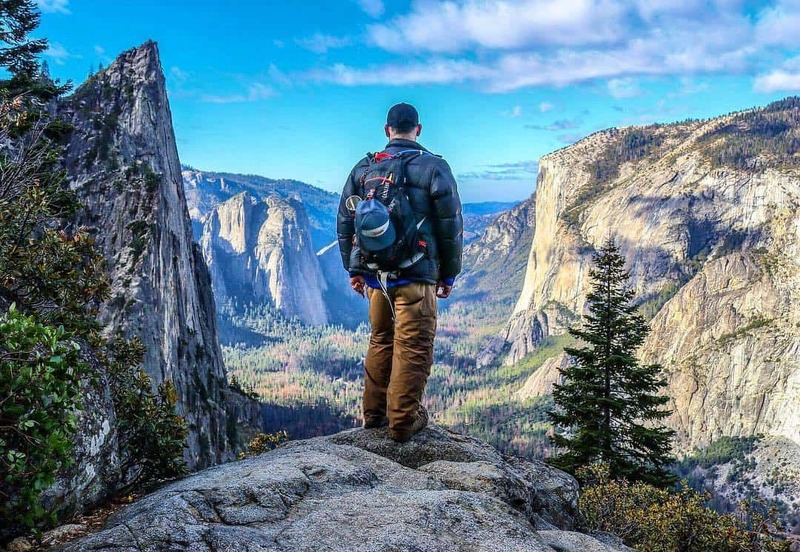 The Four Mile Trail (which is actually 4.8 miles) begins near the base of Sentinel Rock and gains approximately 3,200 feet in elevation to the top of Yosemite Valley at Glacier Point. Along the trail, hikers are rewarded with spectacular views of Yosemite Valley, El Capitan, Yosemite Falls, and Half Dome. The trail is considered strenuous in difficulty, and visitors should allow between 3-4 hours one-way, or 6-8 hours round trip to complete the hike. Want to get away from the crowds? Take the North Dome Trail for perhaps the best view of Half Dome. Start your hike up Yosemite Falls Trail near the back of Camp 4 to the top of Yosemite Falls and onto Yosemite Point. Continue three miles to the base of North Dome. From North Dome, visitors can see Half Dome from a stunning perspective. You will also be able to see Basket Dome, Tenaya Canyon, and Clouds Rest. The trail is approximately 9 miles one way and is rated moderate difficulty. Check out Indian Rock, the largest natural arch in all of Yosemite National Park. Continue on the North Dome Trail, and watch for signs pointing to Indian Rock. From the North Dome Trail, the hike out to Indian Rock and back is less than a mile. It’s definitely worth a trip on this sparsely populated trail. According to NPS, this campground is closed due to the government shutdown. Wanting to get away from the crowds in the Valley? Then Hodgdon Meadow Campground might be the spot for you. This Yosemite winter camping site is located off of Big Oak Flat Road (Highway 120) and is approximately 45 minutes northwest of Yosemite Valley. The campground features 105 sites which can accommodate tents, RVs up to 35 feet in length, and trailers up to 27 feet in length. RVs and tent campers are welcome all year. 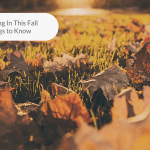 However, the group sites typically close sometime in the middle of October. Each campground has a fire ring, picnic table, and food locker. Bathrooms with drinking water and flushing toilets are within walking distance. A maximum of six people (including children) are permitted at each campsite. There is no limit on the number of tents at each site so long as the tents do not encroach into neighboring sites. You can also bring your pets as long as they are leashed at all times. Wood and charcoal fires are permitted year round. From mid-October until mid-April, campsites at Hodgdon Meadow are available on a first-come, first-served basis. Hike down 400 feet to the Tuolumne Grove of Giant Sequoias. 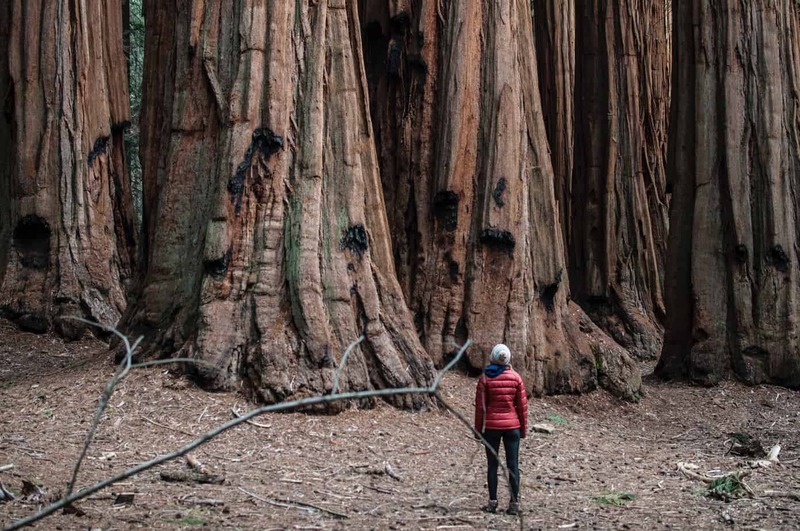 Here, you can check out several dozens of mature Giant Sequoias including a dead one with a passage through its base that visitors can walk through. 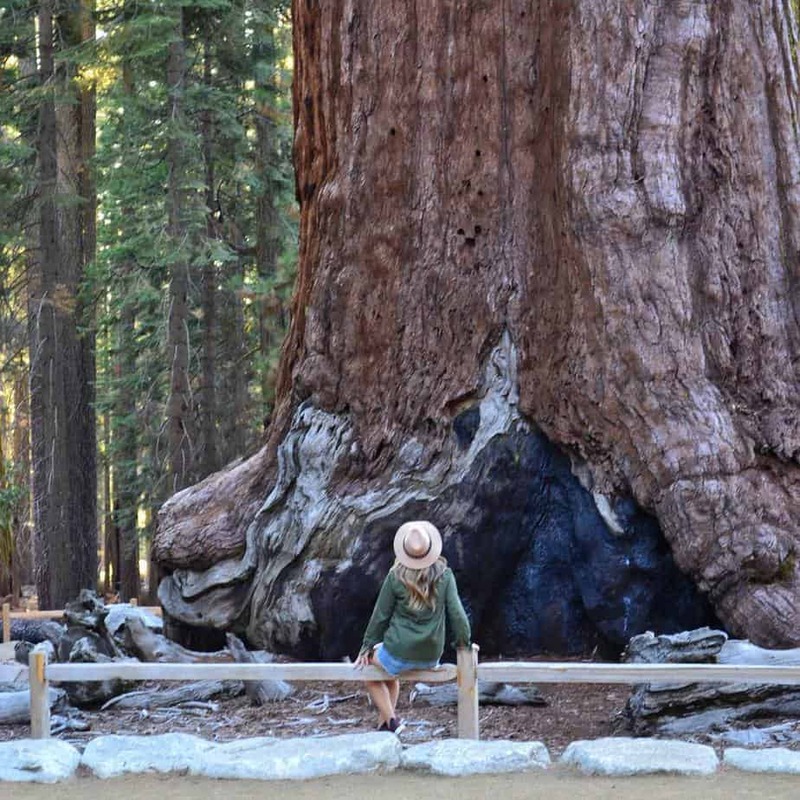 Although the Tuolumne Grove is generally not as crowded as the Mariposa Grove of Giant Sequoias, it’s definitely worth a visit, especially if you’re camping at Hodgdon Meadow Campground. The trail is only 2.5 miles round trip and takes about an hour and a half to complete. The trailhead to Carlon Falls is outside of Yosemite, but the falls are inside the park. 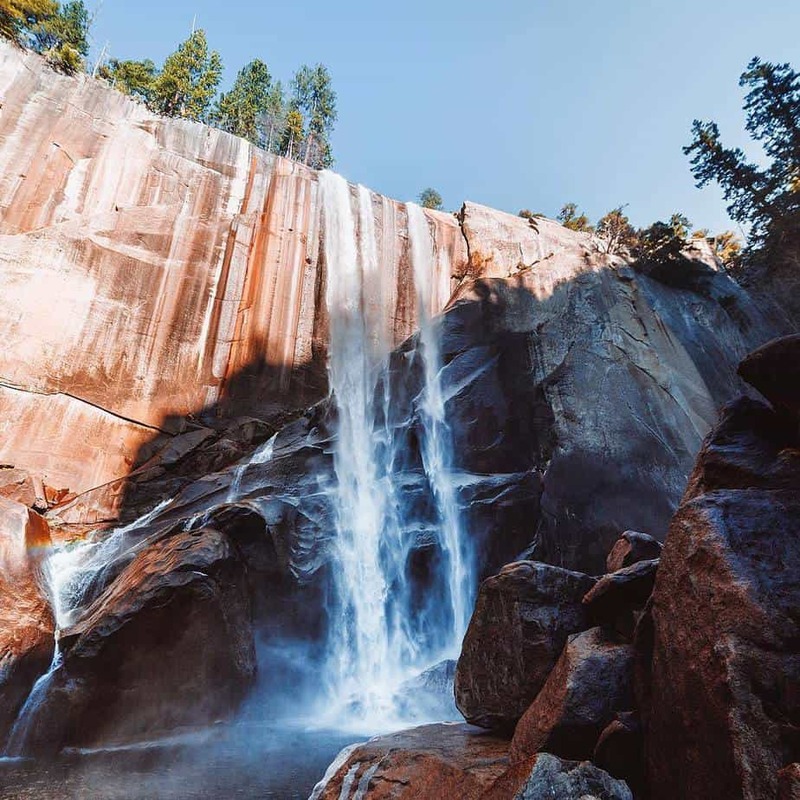 Only 20 to 30 feet tall, Carlon Falls is not the most spectacular waterfall in Yosemite, but it’s a short and easy hike — 3.8 miles roundtrip taking between one to two hours — and gets you away from the swarms during peak season. Plus, in the warmer months, you can enjoy a swim at the base of the falls. 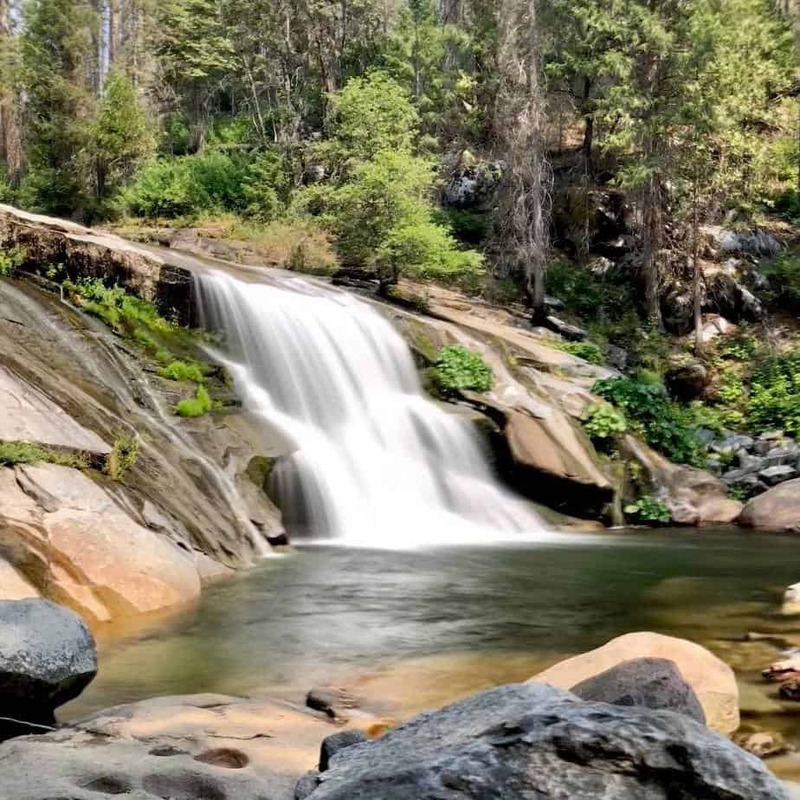 If falling asleep to the sound of rushing river water is your thing, then Wawona Campground is the spot for you. Located alongside the South Fork of the Merced River, Wawona Campground is usually not as crowded as Camp 4, Upper Pines, and other campgrounds in Yosemite Valley. Forty-five minutes south of the Valley along the Wawona Road, this secluded campground is forested with a mix of White Fir, Incense-Cedar, Ponderosa Pine, and Whiteleaf Manzanita. Although loops B and C close around the end of September, Loop A and the group site remain open year-round. Though reservations are required between April and September, the campsites are available on a first-come, first-served basis from October through March. Wawona Campground has 93 campsites that can accommodate a tent, RV, or trailer. However, there are no hook-ups for RV campers. Each campsite contains a picnic table, fire pit, and a food locker. Bathrooms with drinking water and flushing toilets are also within walking distance. There is a six-person maximum at each campsite. There is no limit as to how many tents can be on each campsite as long as they all fit into the campsite. Wood and charcoal fires are permitted all year, and pets are allowed, but they must be leashed at all times. If you need groceries, there is a general store and a gas station near the Big Trees Lodge. 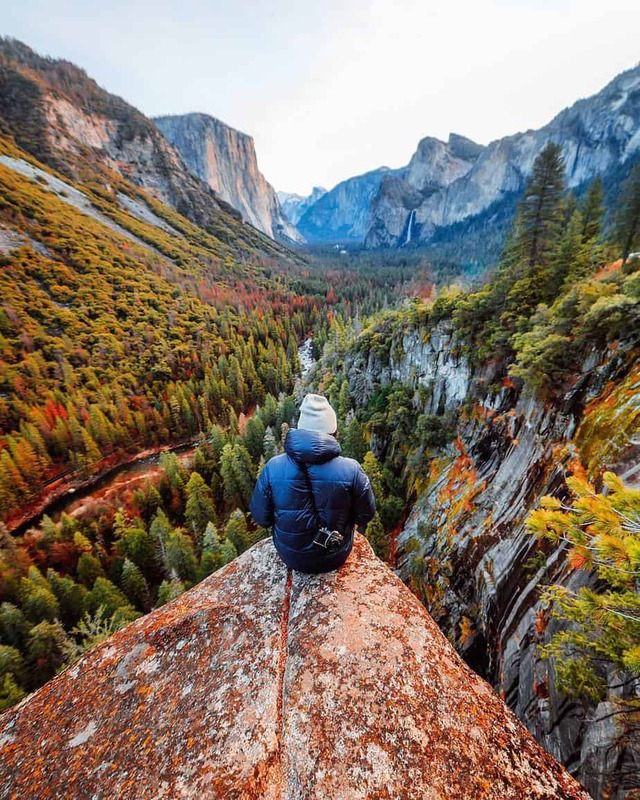 Tunnel View provides one of the most complete views of Yosemite Valley. 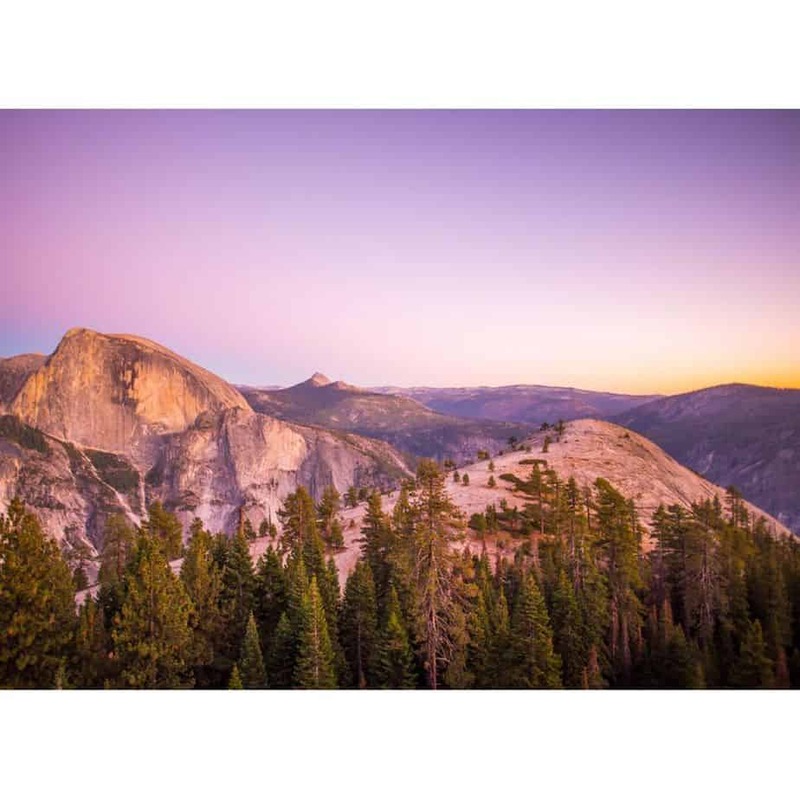 Located along the Wawona Road at the end of the Wawona Tunnel, from Tunnel View you can see popular sites such as El Capitan, Cathedral Rocks, Clouds Rest, Half Dome, Bridalveil Falls, and Leaning Tower. The Mariposa Grove of Giant Sequoias is at the southern portion of Yosemite National Park and home to over 500 mature giant Sequoias. Some of the trees here are over 2,000 years old and stand almost 300 feet tall. There are several easy hiking trails meandering through the grove. Just be sure to stay on the marked trails to eliminate potentially damaging the trees’ root systems. Mist Trail in Yosemite Valley is not the only trail with waterfalls. 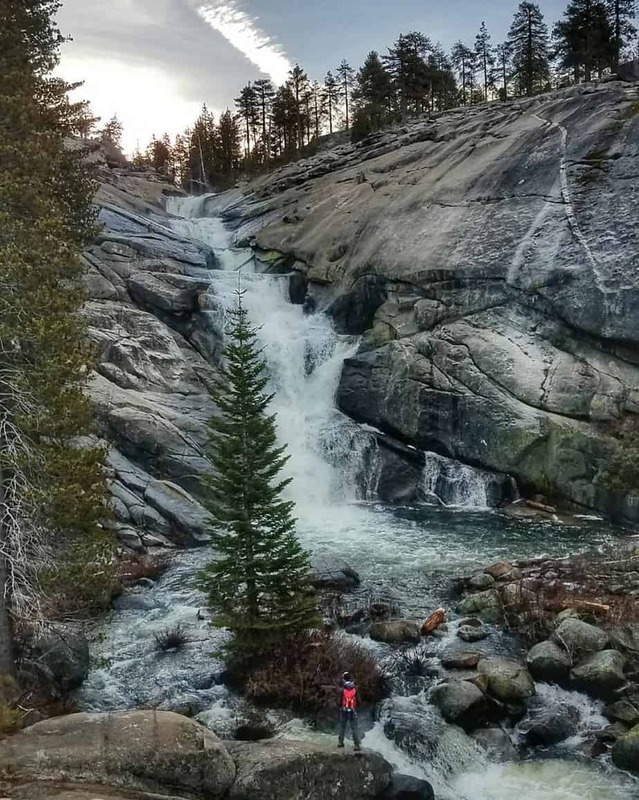 Follow the 4.2-mile (8.4 miles roundtrip) Chilnualna Falls Trail to see the spectacular falls, which present themselves in a series of pools and cascades. The hike to the falls is rather strenuous due to its length and elevation gain of 2,300 feet. Wanting to camp in Yosemite Valley? We don’t blame you. Upper Pines is the largest reservation campground in Yosemite Valley and offers spectacular views of the surrounding iconic landmarks. Plus, you’ll be within walking distance to several Yosemite trailheads. The campground has 238 sites for RV, tents, and trailers. However, between December to mid-February, only the first two loops of Upper Pines are open (about 50 campsites). Each campsite has a fire pit, picnic table, and food locked. There is also a bathroom with drinking water and flushing toilets within walking distance. For those camping in RVs, there is a dump station at the entrance of Upper Pines, but none of the campgrounds have hook-ups. Groceries are available nearby at Yosemite Village and Half Dome Village. Showers are available for a small fee at Half Dome Village. Pets are permitted at Upper Pines Campground but must be on a leash at all times. Hike to two stunning Yosemite waterfalls along the Mist Trail. Aptly named, visitors walking along the trail get so close to Vernal Falls and Nevada Falls that they are sprayed with mist from the massive falls. The Mist Trail starts at Happy Isles trailhead and is a 7-mile roundtrip hike. The trail is heavily populated, so visit early in the morning or later in the afternoon if you’re visiting Yosemite during peak season. Nestled between Half Dome and North Dome, Mirror Lake is a seasonal pool which doubles the splendor of Yosemite National Park. From the “lake” you’ll get awesome views of Mount Watkins, Ahwiyah Point, and Half Dome. The hike to Mirror Lake from the trailhead is relatively easy and only 2.4 miles roundtrip. Hike along the Merced River and catch glorious glimpses of Sentinel Rock, Cathedral Rocks, Bridalveil Falls, El Capitan, Three Brothers, Yosemite Falls, and other Yosemite icons. The full loop takes about six hours to complete and is approximately 11 miles. You can also do the half loop. It’s a pretty flat trail but rated moderate in difficulty because of its length. 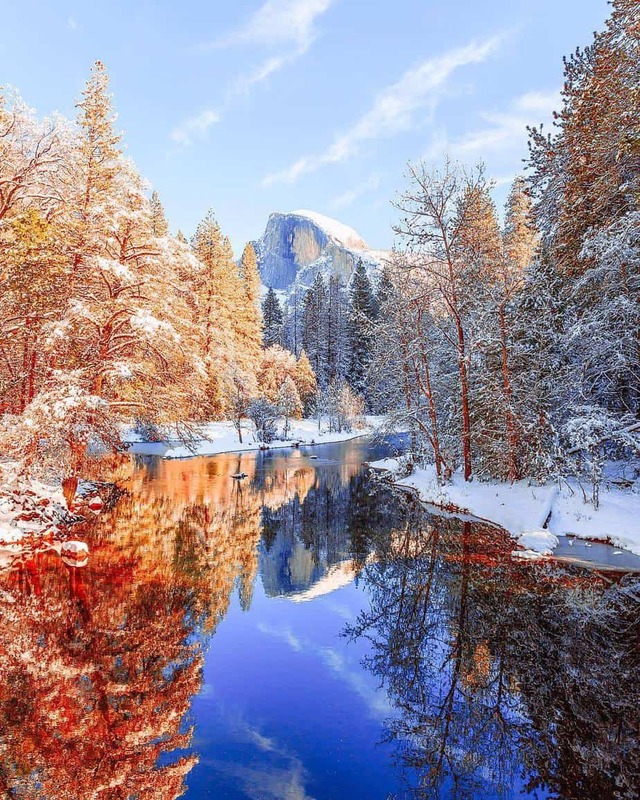 There are perks to visiting Yosemite National Park any time of year. Whether admiring the snow-capped peaks during the winter or basking in the sun amidst fields of wildflowers in the spring, your next adventure awaits in Yosemite. Darlene Mase is a freelance writer, blogger, and outdoor enthusiast living in Newnan, Georgia. In her spare time, she enjoys hiking, camping, caving, and spending time with her family. She’s recently taken an interest in photography and rock climbing. Check out her personal blog ExplorationAdoration.com to read more of her writing.